Dreaming of a custom home in the Texas countryside? J Bryant Boyd Architect Design-Build has the experience you’re looking for. The best part of working with a design-build firm with an architect at the helm is increased communication and continuity of vision. Since this is your dream home, we include you right from the start. Your input will inform our initial design and together we’ll build a home that works for you, not the other way around. If you already own a home in Florence, but want to transform it into the home you’ve always wanted, J Bryant Boyd Architect Design-Build can help. By drawing design inspiration from the area’s rich cultural heritage, and by using the very latest in technology and building materials, we can deliver timeless beauty with modern comfort. 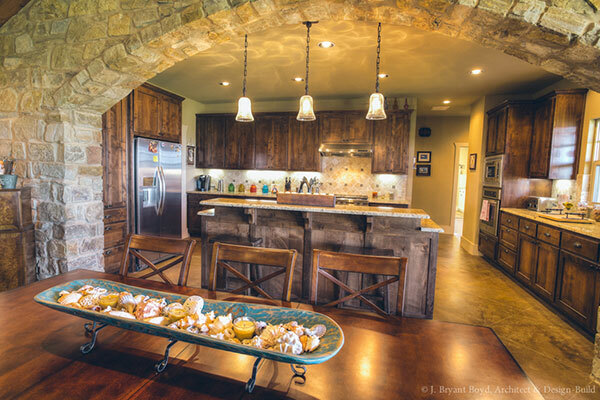 For more than 25 years, J Bryant Boyd Architect Design-Build has catered to hundreds of clients all over Central Texas to build and remodel homes with a distinct style. We turn dream homes into dream-come-true homes. Work with someone who knows Florence. Work with J Bryant Boyd Architect Design-Build. Together, we can make your dream home a reality. To learn more about how our team can help you, call us at (512) 930-1686 or fill out our contact form. We look forward to working together.